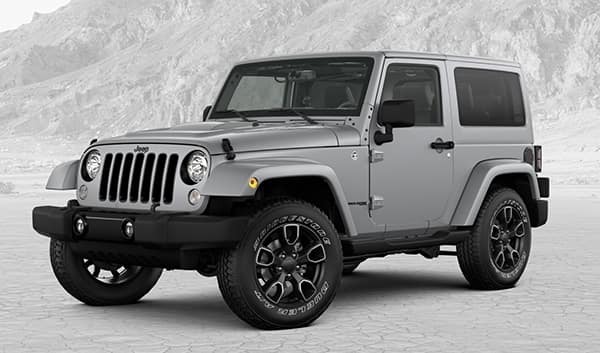 Every new 2018 Wrangler JK model at Chrysler Dodge Jeep Ram of South Savannah proudly wears the Trail Rated® badge that signifies its ability to perform well under various off-road Georgia conditions. These icons of the off-road carry on the Jeep Brand tradition of offering legendary traction, ground clearance, maneuverability and articulation abilities. 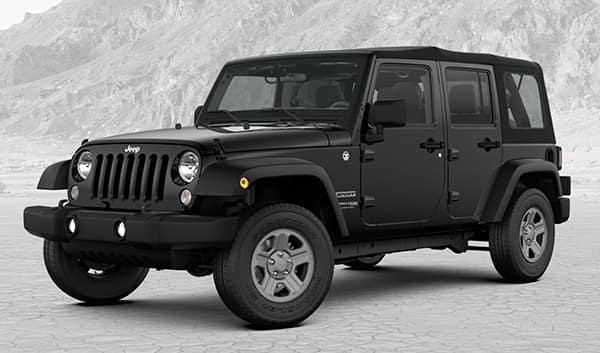 Confidence and capability go hand in hand, and the 2018 Jeep Wrangler JK has the power and torque you need to take on almost any kind of Savannah, Georgia terrain. Take on big rocks, deep snow or sticky mud and the all-new 2018 Wrangler JK will almost always come out on top. 2018 Wrangler JK models incorporate classic Jeep Brand vehicle design elements to bring Savannah, Georgia owners all-weather capability that testifies to their impeccable off-road prowess. 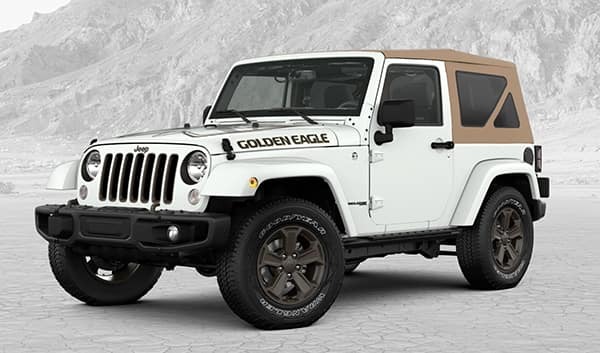 With the available modular Freedom Top® hardtop, you can mix colors or match your vehicle with the available body-color hardtop. 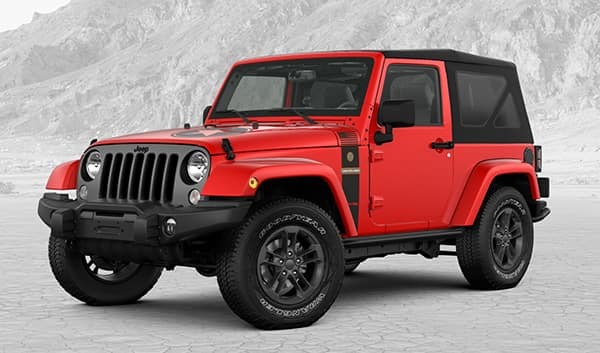 Or you can opt to go with the easy-to-store and easy-to-open Sunrider® soft top to give your 2018 Jeep Wrangler JK a different look. Regardless of the top you choose, Wrangler JK can help you tackle the Georgia outdoors like never before. When winter arrives in Savannah, that doesn’t mean you have to stop exploring. It just means you need to better prepare for it. The new 2018 Wrangler JK lineup at Chrysler Dodge Jeep Ram of South Savannah is equipped with cold-weather features designed to help you go head-to-head with Mother Nature, and keep you out exploring on the unbeaten paths of Georgia. Available heated exterior mirrors help to clear away ice build-up during cold winter drives for unobstructed visibility while Wrangler JK’s available BFGoodrich All-Terrain KO2™ tires were designed to successfully handle almost any kind of surface in a variety of different weather conditions. Take on the trails of Savannah, Georgia in the comfort of your new 2018 Jeep Wrangler JK, with its premium seating and storage options that will help you get the absolute most out of each and every trip. 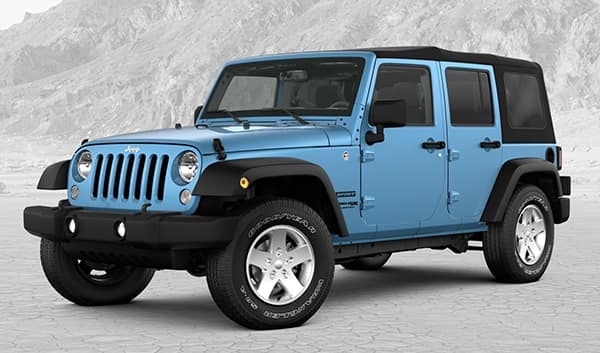 Comfort takes precedence in the 2018 Wrangler JK models available at Chrysler Dodge Jeep Ram of South Savannah, with seats upholstered in premium cloth or available leather trim in your choice of natural colors, depending on trim. Explore the conveniences of the 2018 Jeep Wrangler JK and discover how its interior design will perfectly complements your Georgia outdoor lifestyle. The center console of Wrangler JK features a lockable easy-access storage bin with a dual-stage lid tray to help keep all of your valuables secure, while storage nets positioned on all doors can help you keep important items close at hand. Folding rear seats can provide your new 2018 Jeep Wrangler JK with more than enough storage space, while a handy storage bin located under the rear cargo area provides secure, easy-to-access storage for almost anything you want to bring along on your next Savannah, Georgia adventure. 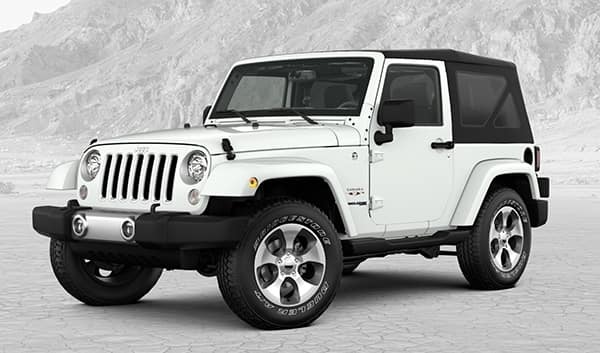 Chrysler Dodge Jeep Ram of South Savannah serves customers from Vernonburg, Georgetown, Thunderbolt, Montgomery, Savannah and all of the surrounding communities, helping them find the new 2018 Wrangler JK that is ideal for their active Georgia lifestyle. We take pride in the premium level of customer service that our sales personnel are known for providing, and we work hard to ensure that each person entering our our dealership leaves satisfied. When you’re ready to find your new 2018 Jeep Wrangler JK, visit 8701 Abercorn Street in Savannah, Georgia and speak with any of our friendly and knowledgeable salespeople about all of the purchasing options available to you.